I could devote an entire website to the discussion of golf shafts, which unfortunately I don’t have the time for. Basically, there is now a broad range of very high quality graphite shafts available to all golfers who are looking to maximize their equipment performance. Unfortunately most manufacturers are still using low-end quality graphite shafts in order to keep their margins up. Don’t be confused with the cosmetics of a shaft. Even though it may look like the same high-end japanese shaft that you see in the catalog for $350, chances are if you look more closely at the shaft you will see “made exclusively for XYZ”, or “Exclusive Design”, or something to that effect. The simple reason I have an outrageously expensive outdoor doppler radar based launch monitor, is to prove to the golfer the benefits of a better quality shaft that is ideally suited for them based on their swing characteristics. Feel free to check out the individual shaft manufacturers product lines on the links below. 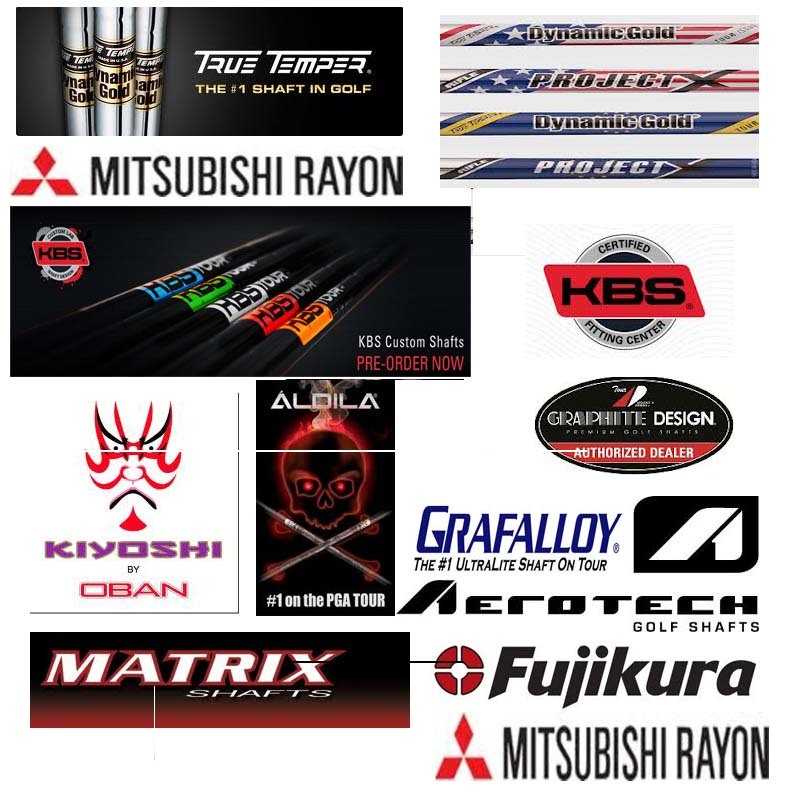 Be warned most of these shafts aren’t cheap and the extensive line of shafts that each manufacturer carries is a testament to just how diverse golfers can be and the necessity to carry a range of shafts that can benefit all golfers (not just the tour pro’s).